Our great value, long-sleeved girls blouses are made with easy care technology that makes ironing a truly simple task. 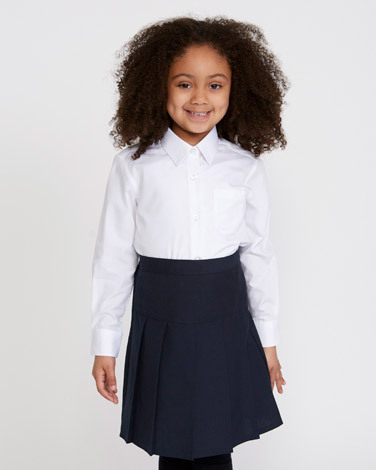 Designed for a new improved regular fit, this schoolwear staple also features expandable cuffs (up to age 7-8) to ensure that little hands can fit through with ease. Complete with a boned collar and double stitched seams, these are a stress-free choice that will keep kids looking smart throughout the day. Pack of 2.